Sometimes you need to make a change. 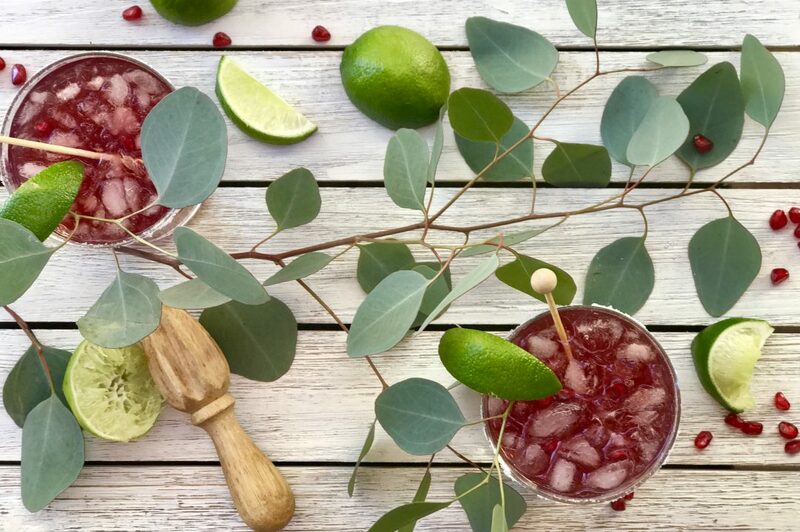 A twist on the classic margarita, this pomegranate-lime margarita is absolutely divine. I am a margarita lover, so this post should come as no surprise to my friends. A classic margarita is delicious, made with fresh lime juice, a good tequila, and nothing artificial added. But there is lots of room for creativity. Pomegranate, on the list of superfoods, is a Middle Eastern fruit that proponents claim helps prevent against heart disease, high blood pressure, inflammation, and some type of cancers. Those are big claims. While I am not 100% convinced such superfruits are indeed this “super,”–or that you get enough in this drink to improve your health–it is a fruit. And in my world, things that grow tend to be better than things that are manufactured. Pomegranate season typically runs from October through February. When selecting pomegranates for eating, you should look for ones that are deep reddish-brown and feel heavy. Left whole and stored in a refrigerator, pomegranates can last up to 4 weeks. If you were inspired, you could make your own pomegranate juice–but that may be more work than it’s worth, as well as creating a huge mess. 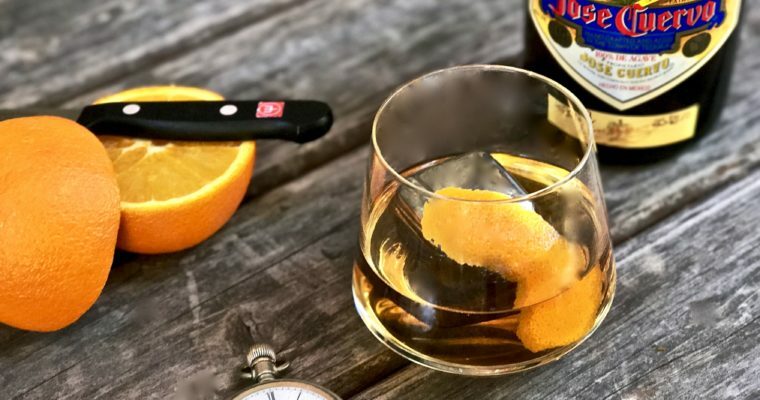 Pomegranate juice can now be found all over the place from fresh to mass-produced, making this cocktail far more accessible than would have been years ago. 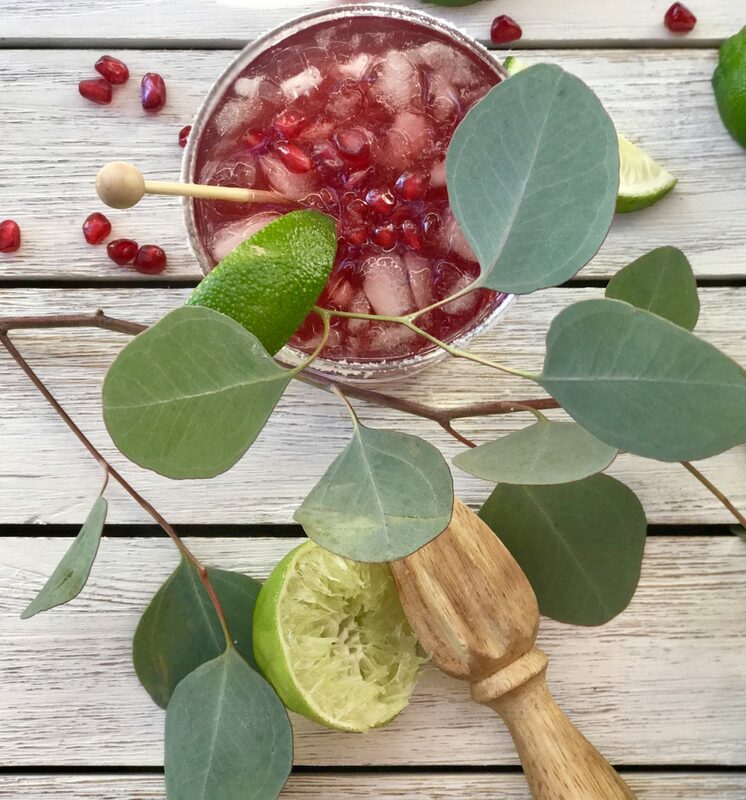 The sweet, yet tart pomegranate juice works extremely well with the fresh lime juice, and is a real palate pleaser. As with all margaritas, using a good tequila will substantially increase the taste and enjoyment. 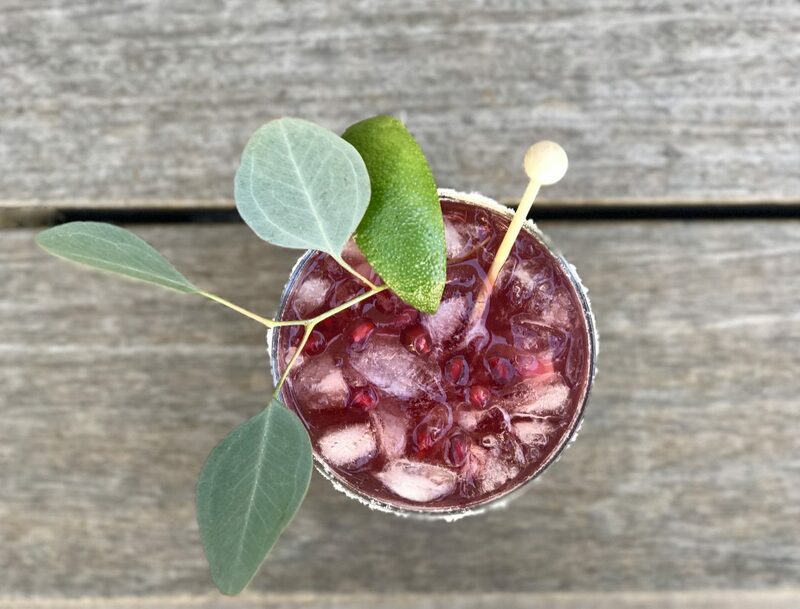 The lovely red color of this pomegranate margarita makes it a great, go-to cocktail option for the upcoming holiday season. For large gatherings or parties, you can prepare pitchers in-advance–just remember to add the ice later. 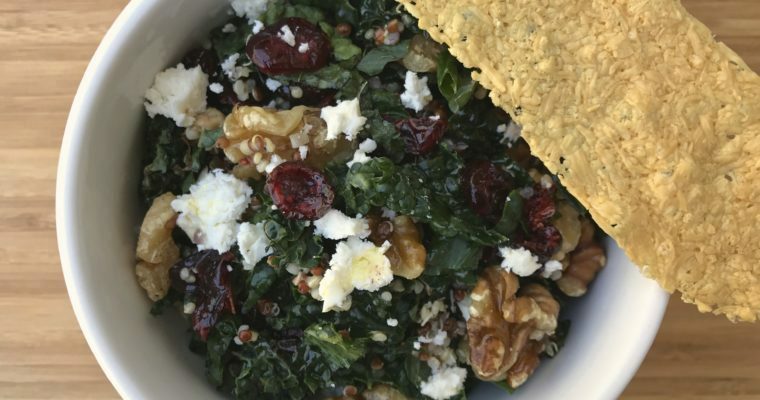 Garnish with fresh pomegranate seeds and something seasonal to kick it up your presentation a notch. Step 1 Place a good amount of salt on a small plate. Use a lime wedge to wet the rim of a lowball glass. Dip the glass in salt to coat. Fill the glass halfway with some crushed ice and set aside. Step 2 Using a cocktail shaker, add a good amount of ice. Add the tequila, Grand Marnier (or Triple Sec), pomegranate juice, lime juice and simple syrup. Shake vigorously to incorporate. Step 3 Pour the tequila mixture into the prepared glass. Garnish with a lime wedge and a few pomegranate seeds.